Our monthly selection of reviews from BlueInk Review, a service which reviews self-published books. These are all books that BlueInk Review feels “merit your attention,” and “are of exceptional quality and particularly worthy of representation. 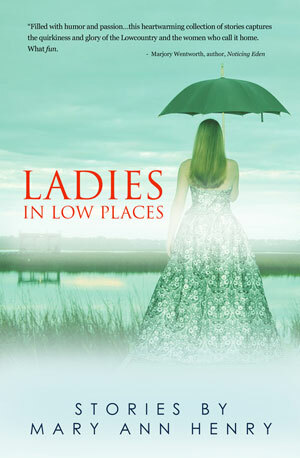 Ladies in Low Places, by Mary Ann Henry: In this charming collection of short stories, Henry captures Southern women from the Lowcountry — the coastal region of South Carolina and Georgia — in all their quirky glory. Consisting of 18 short stories told from the perspective of characters who range from teens to seniors, the book is enhanced by sharp writing and dialogue and a strong sense of place: Characters may meet the same challenges as the rest of us, but they cope in ways unique to their Southern heritage. Each story is told with warmth, humor, and insight into human nature. Like the Lowcountry itself, readers will find themselves wanting to return here again and again. Author’s current residence: Charleston, NC Read review. I’ll Always Be with You, by Violetta Armour: This novel opens with a startling statement: “I never meant to kill my dad.” Teddy had been learning to drive with his father when their car was broadsided by a drunk driver. As Teddy and his mother struggle to regain their footing, the author delivers an emotionally rich, introspective novel about grief and recovery with well-drawn characters whose representations of the pain and confusion felt when tragedy strikes feel true-to-life. This beautifully crafted, touching book offers tender wisdom that could be especially appealing to young adults grappling with insecurities and difficult times. Author’s current residence: Munds Park, AZ Read review. Unmoored, by Jeri Parker: When the narrator of this richly imagined novel begins telling her story, in 1992, her tyrannical father has just died in a mysterious house fire. Was it an accident? Suicide? Murder? This burning question compels Idaho painter and writer Rennie England to take stock of her life. A wonderful shimmer of ambiguity envelops all the vivid players in this novel, including the violent but sometimes tender father and the love of Rennie’s life, David, a shadowy romantic who dies in Tel Aviv amid a cloud of political intrigue. Parker knows well the vast beauty of the American West. Her vivid descriptions and precise, unsentimental writing make this an enthralling family saga. Author’s current residence: Salt Lake City, UT Read review. 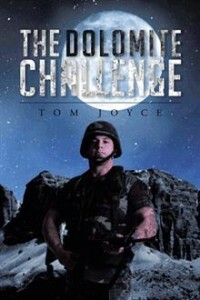 The Dolomite Challenge, by Tom Joyce: Set in 1947, this novel continues the story of Vienna Police Inspector Karl Marbach introduced in Joyce’s Habsburg Honor and Nazi Duty. Spurred by a personal vendetta, Marbach is pursuing Dr. Heinrich Emhardt, a Nazi war criminal responsible for the mutilated face of one of Marbach’s former lovers. But Emhardt is no simple prey: He carries plans that would expose the Nazi’s secret Odessa escape route out of Austria and is being recruited by the Russians and Americans for atomic weapons projects. The countries are willing to thwart Marbach’s pursuit in order to achieve their aims. As much about the struggle to remain human as it is about the chase, this enthralling tale is sure to please thriller fans. Author’s current residence: Washington D.C. Read review. The 13th Month, by Louis Paul DeGrado: In this faith-based novel, a teenage boy murders his parents, spurring an investigation by a diverse team of experts, including a holy man from India, a Native American shaman, and a beloved Catholic priest. Their pursuit eventually leads them to combat evil shadows that were in physical form during a long-ago time period called “the 13th month.” With its unusual theme, colorful characters and nail-biting plot, this story will be appreciated by anyone who likes a different take on evil or who loves Christian science fiction. Author’s current residence: Pueblo, CO Read review. War: A Crime Against Humanity, by Roberto Vivo: A cooly elegant writer, Vivo surveys the enduring horrors of war-related slavery and racism, and he invokes thinkers from Hammurabi to Frederick II of Sicily, from Gandhi to Eisenhower to Nelson Mandela, in building his case for peace. Neither a nostalgia-phile nor a dreamy fantasist, his tough-minded prescriptions include beefing up the United Nations and other supranational agencies, establishing universal support for the International Criminal Court, and classifying war and unwarranted aggressions as a punishable crime. Students, world leaders and ordinary citizens would do well to absorb, and act on, this author’s quiet rage. Author’s current residence: Argentina. Read review. The Sky Detective: A Memoir, by Azadeh Tabazadeh: An award-winning American atmospheric scientist recounts her coming of age against the backdrop of the Iranian revolution in this engaging and deeply perceptive memoir. Tabazadeh recalls how her friendship with an 11-year-old village girl who moved in as household help deeply shaped her awareness of class and gender differences. The friendship eventually ended when the girl was shipped back to her village to be married and Tabazadeh was swept up in the tidal forces of the Iranian revolution. Readers of all stripes will appreciate this sobering and enlightening glimpse of growing up in the shadow of a revolution. Author’s current residence: Mountain View, CA Read review. Mindfulness: The Alchemy of Now, by Felix Lopez: In Mindfulness, Felix Lopez distills the ancient knowledge of Buddhist meditation and Pranic Healing into a modern prescription of for joy, good health, and ethical action. With powerful writing, he creates a warm, personal connection with readers, offering a recipe for a rich and flavorful life. A culmination of all the self-care and spiritual teachings of the past, this material is simply explained and tied together with language that is beautifully poetic at times. Readers will find that it contains enough wisdom to last a lifetime. Author’s current residence: Boulder, CO Read review. Outside, Inside, by Cindy Helms: Illustrations are almost everything in Helms’ picture book about a bird who finds himself on the “Outside” of things, looking for his friends. While the bird wonders, “Where is everyone today?” readers see that the bird’s friends are crowded “Inside” a whimsical, mound-shaped home. The fun comes in wondering what they are up to as they hide in the darkened domicile. Helms effectively employs alternating words and images to convey the concept of “Outside” and “Inside” and to build youngsters’ anticipation as the pages are turned. Her upbeat, appealingly illustrated book is ideal for adults and preschoolers to share at home, in preschool, playgroups or during library story times. Author’s current residence: Centennial, CO Read review. Stop the Diet, I Want to Get Off!, by Lisa Johansen: In this solid, easy-to-read nutrition book for those who want to get off the dieting merry-go-round, registered dietitian Johansen breaks down every type of fad, from the Paleo and Blood Type diets, to the latest craze, the 5:2 diet. She also weighs in on more sensible plans, such as Weight Watchers, offering practical ways to assess which programs might be most helpful. A valuable resource for those who want to improve their eating habits, this book gives readers plenty of tools to put down the Doritos, get off the couch, and start making small steps toward healthy eating. Author’s current residence: Los Angeles, CA Read review. Why Are You? : A Sense of Identity, by Antonio Barquet, MD: In this book, Barquet asks why we have an identity and explores how it is constructed, holding that the sense of self is necessary for the survival of the individual and, therefore, also serves the continuation of the human species. Readable and relatively jargon-free, Barquet’s theory is compelling, and the author provides plausible answers to the questions he posits. Readers of Eckhart Tolle will find a kindred spirit in this slim volume. Author’s current residence: Miami, FL Read review. I Believe, by A.A. van Ruler, translated by Garth Hodnett: Anyone interested in thought-provoking Christian theology should keep a highlighter ready while reading Hodnett’s translation of van Ruler’s fascinating text, a narrative written in the 1960’s and published now for what seems to be the first time in English. This book, about the 12 articles of faith contained in the Apostle’s Creed, takes readers on a line-by-line exegesis of the Creed, offering a wealth of philosophical ideas and interesting explanations of scripture, Jesus and the human condition. Hodnett has done van Ruler, and those interested in Christian thought, a great service: This book is a gem. Author’s current residence: South Africa. Read review.